Think island, think nature, think ocean, think tranquillity and think pristine. Natural islands have always been escape destinations from the concrete jungle chaos and pollution. Now think again, think unnatural islands, think strewn litter over the ocean, which eventually accumulate as floating marine trash. Who would have thought we could create whole human-made waste catastrophes in the far-off ocean? Plastic discarded in America may be carried for many kilometres over the oceans. 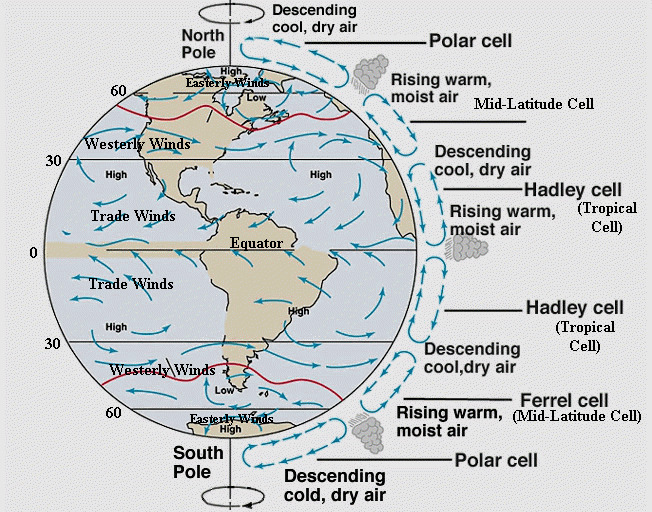 The Earth's rotation (Coriolis Effect) and the presence of scattered continental landmasses, create a secondary wind-induced surface movement, the Gyre Currents. There are five main Gyres working either westward, eastward, poleward or equatorwards. Gyres may be seen as the secondary current force but they substantial impacts over coastal temperatures, currents and wind storms. 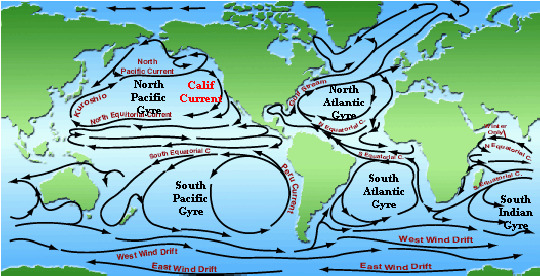 In addition, gyres result in the slow movement of water allowing the trash to collect. The points of convergence are where the deposition of trash occurs and eventually build up to form floating trash islands. If we change our wasteful consumption, unnecessary production of new plastic products, dumping waste, we may save innumerable lives, they may not all be human, but we are responsible for them and all things living on the planet.